It's been called a precursor to all fermented drinks, and there's a reason for that: it's easy to make. So easy, in fact, that you can do it at home. 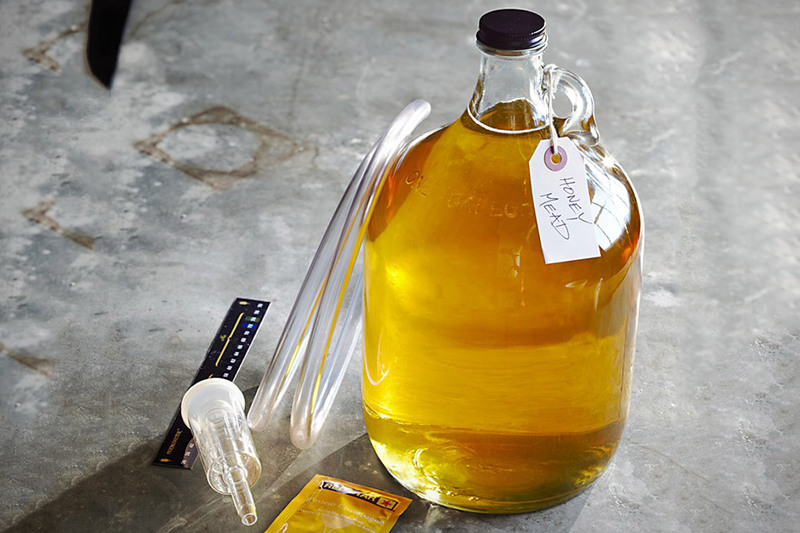 This Homemade Mead Kit ($60) includes everything you need to make your own honey wine, including a one-gallon fermentation jug with a metal lid, a temperature strip, a hydrometer, an airlock, a stopper, a siphoning tube, and enough yeast for five one-gallon batches. So everything but the honey, and the 4-6 weeks it takes to go from throwing stuff in a jug to tasty goodness.